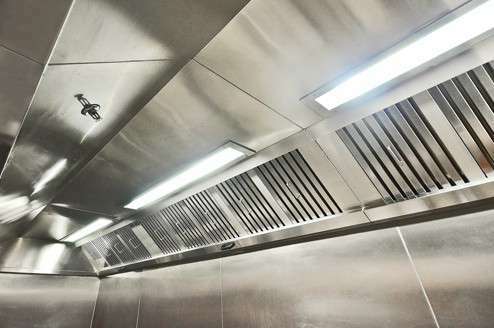 When installing kitchen ventilation there are many potential pit-falls that need looking at, such as fire risk, ductwork, fan sizing and odour nuisance… Elite Foodservice Design have the expertise and experience to make your system design easier. 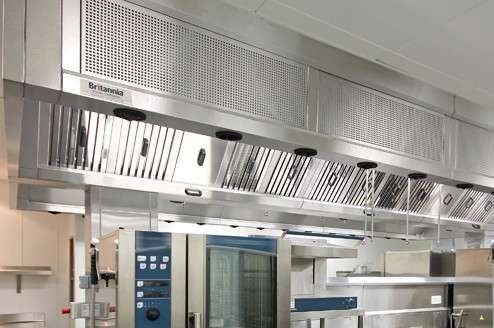 Kitchen ventilation is required to create a safe and comfortable working environment. Catering and cooking can produce significant quantities of fumes and vapours as well as large amounts of heat. Ventilation is necessary to remove these and discharge them to a safe external location. This is usually achieved by mechanical extraction via a canopy hood installed over the cooking appliances. 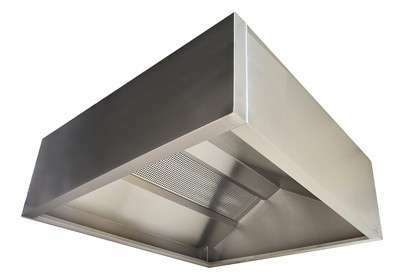 The ventilation system should also provide general ventilation throughout the kitchen. It is particularly important to provide adequate make-up air for gas-fired appliances. The lack of an adequate supply of air, and/or incorrect flueing arrangements can lead to incomplete combustion and the accumulation of combustion products such as carbon monoxide. However, most aspects of this guidance also apply to other energy sources. EFD design, supply, install, test and commission kitchen extract systems all in accordance with HVCA Specification DW/172. Careful consideration is given to each design to ensure that air flow rates are achieved. Environmental aspects, such as odour control, noise attenuation and aesthetically appealing solutions are considered at design stage. Fan selection is key to a successful design and all options from low pressure axial fans to high pressure belt driven centrifugal fans are considered. 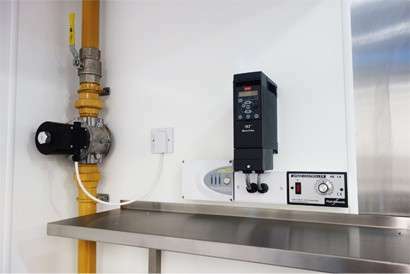 In order for the kitchen ventilation system to function correctly (and be legally Gas Safe and HVCA Specification DW/172 compliant), filtered make-up air should be provided. This would be achieved by mechanical means for larger kitchens but passive return air is acceptable on smaller installations. At design stage, consideration will be given to the tempering (heating) of the supply air. Both LPHW and electric heating solutions are available dependant on available site services. A make-up air system must provide 85% of the total extracted volume with the remaining 15% infiltrating naturally into the kitchen from surrounding areas. The mechanical or ‘fan assisted’ method should ensure that the kitchen remains under negative pressure thus preventing the potential transfer of kitchen odours to areas outside of the kitchen. •a: installing a completely new extraction/ventilation canopy over gas equipment. •b: installing a completely new gas pipework run. •c: installing a completely new gas cook line. •d: installing any Category ‘B’ gas equipment e.g. Combination ovens, deep fat fryers, grills, chargrills, griddles. This includes replacements to an existing layout. The GIS monitors either Air Pressure Differential Sensors mounted in the extraction and air supply ductwork and/or Fan Sensors. In the event of fan failure or significant air flow reduction the sensors will actuate the GIS, which in turn closes the gas solenoid and cuts off the gas supply to the kitchen appliances. 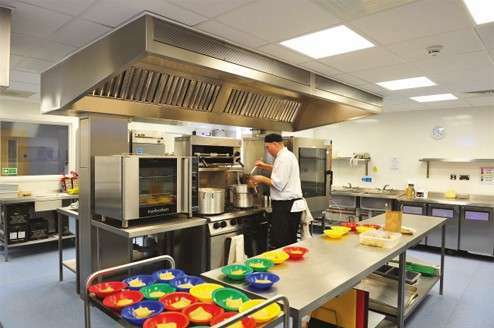 Condense canopies can be supplied and fitted above dishwashers, combination ovens and atmospheric steamers. These canopies offer a budget solution to allow steam laden air to be safely captured. Condense canopies are fitted with a sloped ceiling which directs the evaporated steam towards the rear valence. The resultant condensation runs off from the ceiling and gathers in the condense channel. This can then be emptied via a drainage plug located on the underside of the fully welded water-tight condense channel.